Mobiles .Enjoy this game and give your feedback.""" """Knock Knock!! 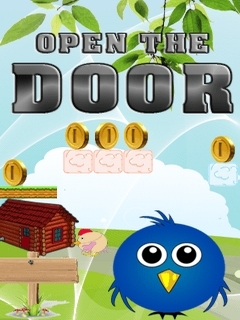 Open the Door is a game where you have to open the door by collecting all the stars.Many interesting levels to play.You have to be very calculative.You will also get many of the surprise objects in every level.Rotating tray and woods are there also to support you to achieve the target.You have to move the jumping jack character very swiftly to collect all the stars.True physics based game with lots of amazing levels and rich graphics.Its really FREE by Sensible Mobiles .Enjoy this game and give your feedback.""" Temple Run Brave For ..
Black Shark 2 - Siber..